i) Code passed to the eval is executed with the privileges of the executor. So, if the code passed can be affected by some malicious intentions, it leads to running malicious code on a user's machine with your website's privileges. ii) A malicious code can understand the scope with which the code passed to the eval was called. Which in turn, may raise security threats. 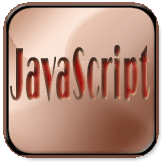 iii) eval has to call the JS Interpreter, thus making it sluggish. There are a number of alternatives to eval() available. The following example shows how to use eval() function. Here is an another example of an eval() function. Instead of using eval to convert property names into properties, use the member operators. var lettername = getPropName(); //returns "a" or "b"
You may click here to view a detailed discussion. Don't use a second argument in eval. It is not supported in all modern browsers. If at all you are running code with eval, reduce privilege. This is though may not be implemented in many applications. Some use case may be implementing it in XUL - a Mozilla's front-end architecture.